The Masonic Flag of Israel? The nature contained of the double triangle called the “seal of Solomon” or “Magen David” (Shield of David) is proven with the fact that the number of the Beast, 666, is contained within it. Note that there are six triangles incorporated in the outer part of the star, there are six points and six lines that make up the two triangles. (Author Dr. Ana Mendez-Ferrell in The Dark Secrets of G.A.O.T.U. quoting author Dr. O. J. Graham’s The Six-Pointed Star: Its Origin and Usage). 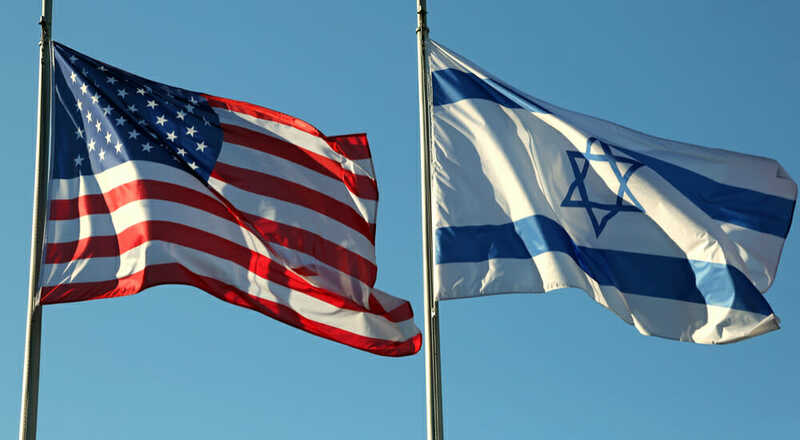 Before continuing further, let us emphasize President Trump and the American people must insist that, with the changing of the location of the US Embassy to Jerusalem, that Israel simultaneously remove the Seal of Solomon from its flag, the destructive Masonic symbol of world-govt. Masons. Christian Americans support nationalist America and Israel and not the Seal of Solomon symbol of world-govt. Masons! Wisdom now begs President Tump and Prime Minister Netanyahu: Urgently change the current flag by removing the Masonic “Seal of Solomon” and putting up something new. The stakes are too high to retain a flag merely for the whim of Israel’s 87+ Masonic lodges. No US troops should serve under a world-government flag. Changing to something better will, globally, tell the Christian and Islamic world that nationalist Israel and America are unified in opposing Rothschild, Kissinger and Soros world government! Darkness Visible by Walter Hannah. The Dark Secret of G.A.O.T.U. By Dr. Ana Mendez-Ferrel. The Six-Pointed Star by Dr. O.J. Graham. Conspiracy of the Six-Pointed Star by TexeMarrs. The Dark Side of Freemasonry. Anthology edited by author Ed Decker, a former Mormon. Islam and the Masonic World Order by H. Abdul Al-Dahir.